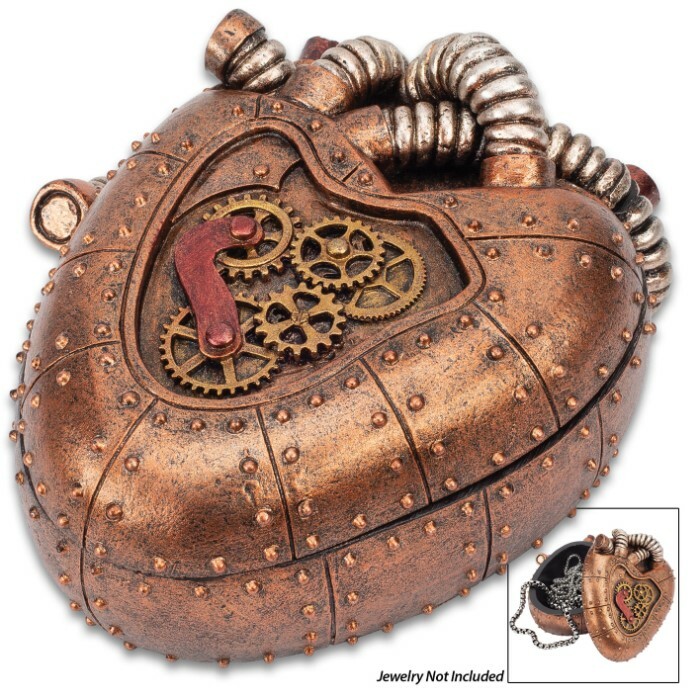 Copper Mechanical Heart Steampunk Trinket Box - Crafted Of Polyresin, Hand-Painted, Removable Lid - Dimensions 4 1/4”x 3 1/2”x 2” | BUDK.com - Knives & Swords At The Lowest Prices! The Copper Mechanical Heart Steampunk Trinket Box is the perfect gift for your Steampunker Sweetheart to put all of her treasures in! 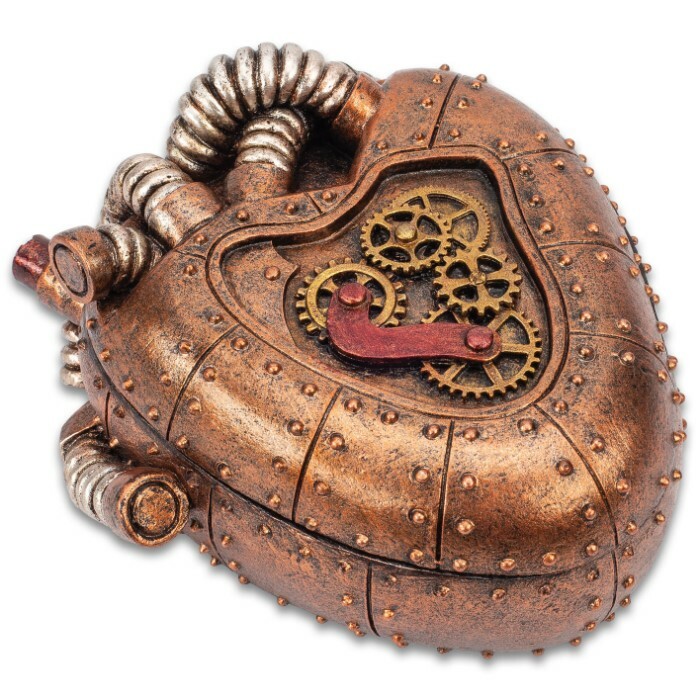 Expertly sculpted in polyresin and hand-painted, this intricately detailed, decorative box looks like it is actually cast of genuine copper. 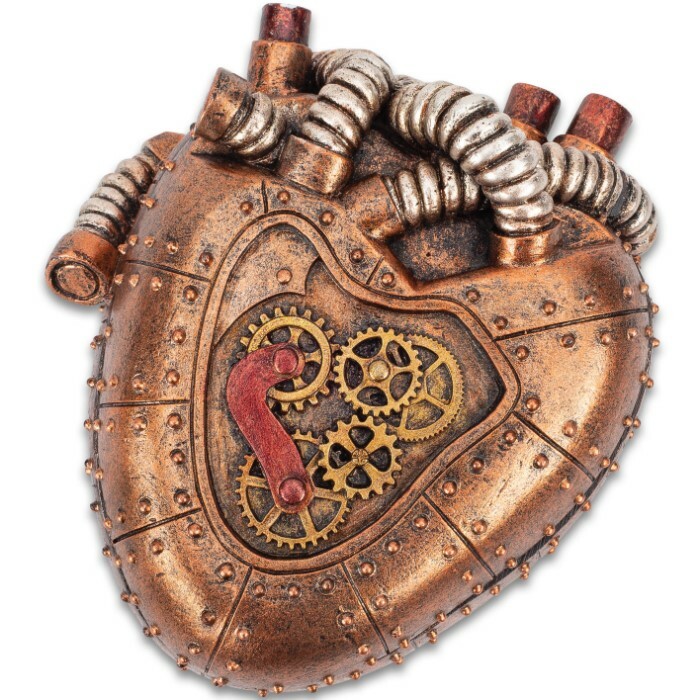 The Steampunk inspired piece features brass-looking gears integrated into its lid design, giving it that wonderful mechanical look. 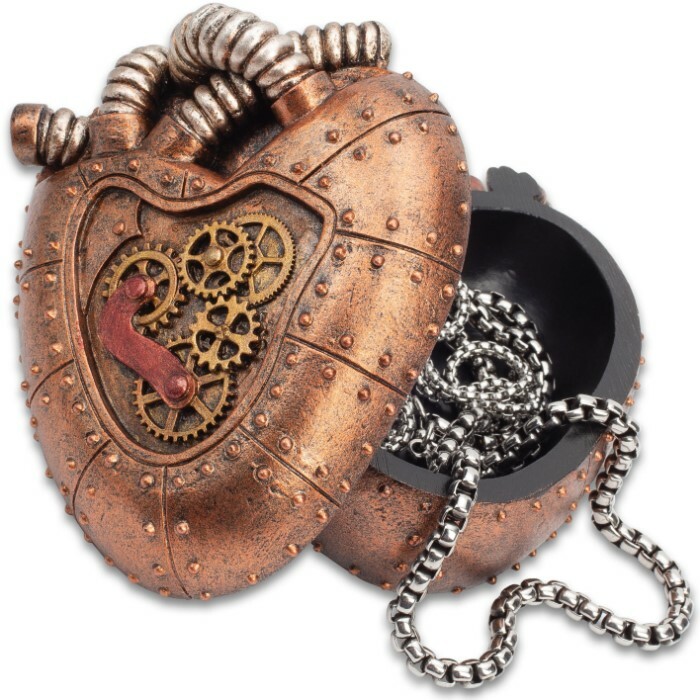 The heart-shaped trinket box has a removable lid and its dimensions are approximately 4 1/4”x 3 1/2”x 2” tall.